As is the case every year, we’ve got a good idea of what to expect from an upcoming flagship smartphone, pre-launch. 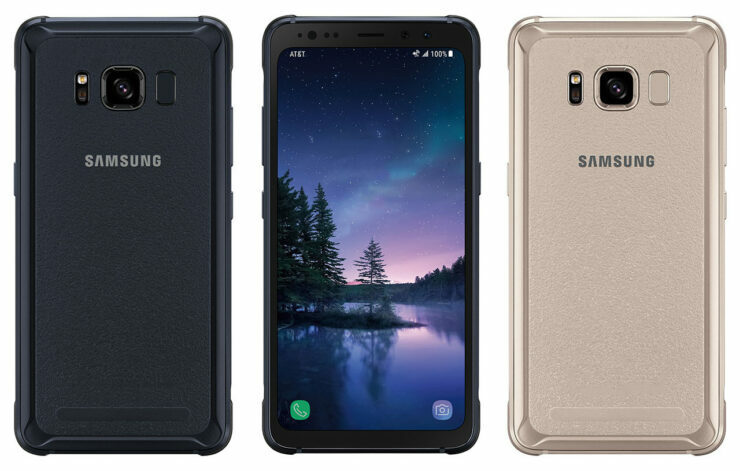 This year, Korean tech giant Samsung will launch the Galaxy S9 and Galaxy S9+, which are iterative upgrades over their predecessors. The rumor mill started in November, and is busy since then. Today, we’ve got a final benchmark that is critical for reasonable performance expectations from the smartphone. The Exynos powered Galaxy S9+ just hit GeekBench folks. Take a look below for the details. Samsung and Qualcomm have followed a consistent trend of performance across the Galaxy S smartphone lineup for years. The former’s flagship Exynos beats the latter’s Snapdragon in computing. However, it’s beaten by the Snapdragon’s Adreno GPU; which right now, leads the market. Apple, despite the $1000 price tag for the iPhone X, cannot meet the Adreno’s best scores. However this year, the performance difference between Samsung’s Exynos 9810 and Qualcomm’s Snapdragon 845 will increase when compared against previous results. We’ve seen benchmarks for three processor and form combinations surface, save the Exynos 9810 powered Galaxy S9+. Today, it’s the very device which pops up on GeekBench. The scores show a solid lead for the Exynos when compared against the Snapdragon. As you can see above, the Exnyos 9810, with approximately 6GB RAM scores 3773 and 9024 in single and multi-core results, respectively. 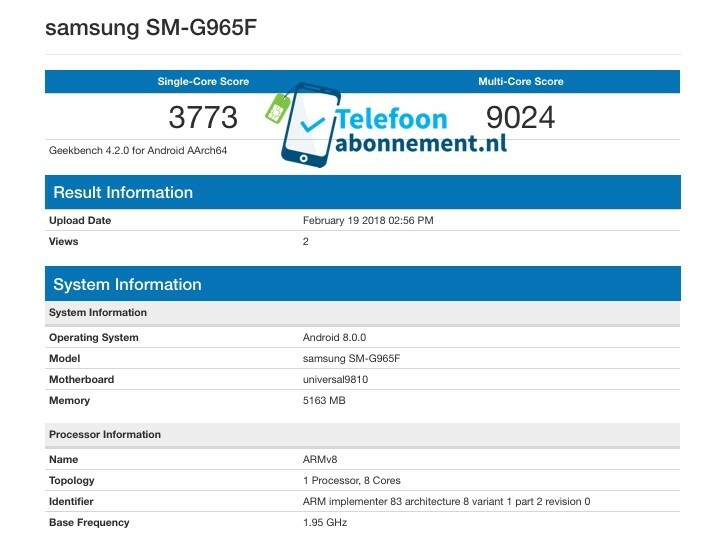 For comparison sake, an earlier Galaxy S9+ leak, with the smartphone powered by the Snapdragon 845, had lower scores. While it leads the Snapdragon 845, Samsung’s Exynos 9810 is still unable to match the new GeekBench performance benchmarks from Apple’s A11. The processor consistently crosses 10,000 in multi-core results, compensating for all the years’ lack. All in all, things will cool down in the flagship world for 2018, as the industry prepares for the next wave of upgrades ushered in by 7nm. The verdict’s still out on virtual fingerprint adoption for mainstream devices. For what they’re worth, rumors claim that Apple’ s iPhones for 2019 will feature it, along 7nm. Maybe Samsung will beat Cupertino to the punch. However, right now, we’ve got the Galaxy S9 and Galaxy S9+ due in a couple of days. So stay tuned and let us know what you think in the comments section below. We’ll keep you updated on the latest.